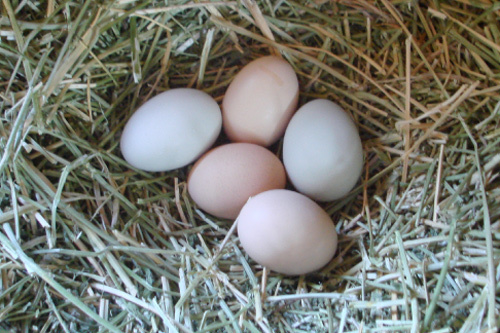 I found this small clutch of eggs nestled in a wheelbarrow full of hay. Even on our short winter days we still collect 4 to 5 eggs a day. Precious gems to be sure.